Parks and Recreation actress and comedian Mara Marini puts Drake and Chris Brown head-to-head in our weekly debate and asks you to decide: Who’s hotter? Aubrey Drake Graham was born Oct. 24,1986 in Toronto, Ontario, Canada. His mother was an educator, his father was a drummer and his two uncles were also musicians. When he was 15, a friend’s father (who happened to be an agent) found him a role on Degrassi: The Next Generation. Drake played the role of Jimmy Brooks for 138 episodes. In 2006, he released his first mixtape and in 2009, he left Degrassi after his character graduated. Christopher Maurice Brown was born May 5, 1989 in Tappahannock, Virginia. His mother was a day-care center director and his father was in corrections. He taught himself to dance and sing and when he was 13, HitMission Records discovered him at a gas station where his father worked. From there, he signed with Jive Records and began recording his first studio album in 2005. Drake: Drake achieved an enormous amount of success before ever signing with a record label. In 2007, his music video featured on BET, making him the first unsigned Canadian rapper to have a featured video. There was a huge bidding war among labels to sign the brilliant artist and Drake finally signed with Young Money Entertainment in 2009. He has won a plethora of awards, has had 10 Top 10 Singles and his 2012 hip-hop tour grossed more than $42 million. Chris Brown: His self-titled debut studio album and second album both went double platinum. His third album, F.A.M.E., garnered him his first Grammy award. In 2007, he dipped his toe into acting, making his film debut in Stomp the Yard and TV debut as a guest on The O.C. Since then, he has appeared in several films and won numerous awards. 1. He is global ambassador for the Toronto Raptors. 2. His mother is Jewish Canadian and he was raised Jewish. 3. His celebrity crushes are Kat Dennings, Meagan Good and Eva Mendes. 2. His nicknames are C. Breezy, Charlie Brown, Boo Boo and Sizzle. 3. His favorite dessert is strawberry cheesecake. Drake: Growing up, he played minor hockey with the Weston Red Wings. He put a lot of work into getting in shape for his Would You Like a Tour? tour with weight training, soccer and tennis. Chris Brown: Loves playing basketball and stays fit from dancing, compound weight training and body-weight circuit training. Drake: Drake supports a handful of Toronto-based charities and when Anna Angel lost her entire family to a tragic mobile-home fire, Drake and The Game split a $20,000 donation to help her with funeral expenses. Chris Brown: He donated 50 cents from each ticket sold on his 2006 Up Close and Personal Tour to St. Jude’s Children’s Research Hospital in New York. The final donation was $50,000. Chris Brown: He had a Pit Bull named Diamond and now has an English Bulldog named X.
Drake: Although he dropped out of high school, he graduated years later, in 2012. Chris Brown: Attended Virginia’s Essex High School, but left for New York in 2005 to pursue music. Drake: He has been linked to Canadian R&B singer Keshia Chanté, Serena Williams, Tatyana Ali, Rita Ora, Tyra Banks and Rihanna. 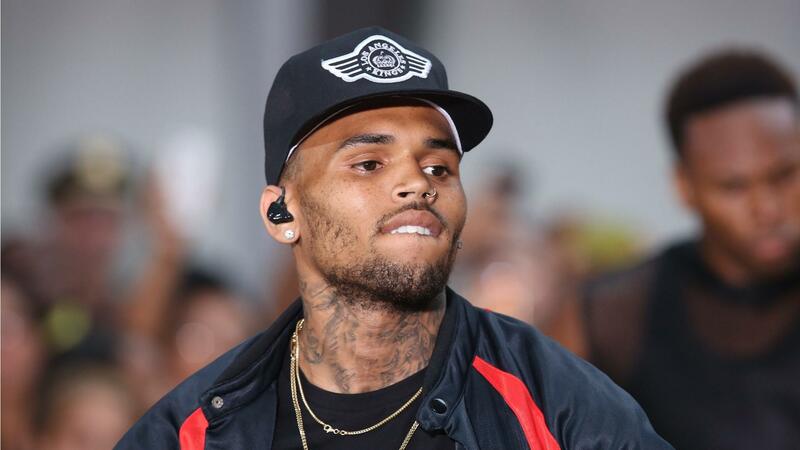 Chris Brown: In 2009, Brown plead guilty to felony assault of then-girlfriend Rihanna, and was only sentenced to five years of probation and six months of community service. Both of these artists will be at the Grammys on Sunday! Mara Marini is a Canadian film, television and theater actress perhaps best known for her recurring role as Brandi Maxxxx on the hit NBC comedy series, Parks and Recreation. Marini has also appeared in a number of indie comedy and horror films. In 2013, she launched a popular digital comedy video series called Inside Dating on Break.com. She will soon be guest-starring on Disney’s Kickin’ It and shooting a politically incorrect feature comedy this fall. For more information on Mara, check out her official website, www.maramarini.com, and follow her on Facebook or on Twitter at @popgloss.